Originally developed in the late 1800s as a working boat and fishing platform, the Friendship sloop has survived as a type and has become recognized as an American sailing classic. This is the story of a family of boats and how they weathered more than a century of change and transition, and why they still have a passionate following today. With a forward by renowned maritime historian and technical editor for WoodenBoat magazine, Maynard Bray, 336 photographs, plus line drawings and original illustrations, Lasting Friendships is a must have reference for any lover of traditional sailing vessels and Maine history. 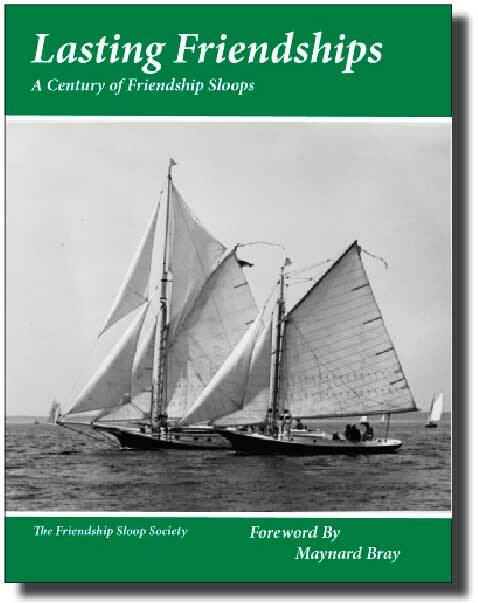 Available in hardcover from the Friendship Sloop Society for $45 (includes shipping). The paperback edition is available at Amazon.com for $25. Click on the Buy Now button to order the hardcover edition. TV News Video - Restoration of "Blackjack"